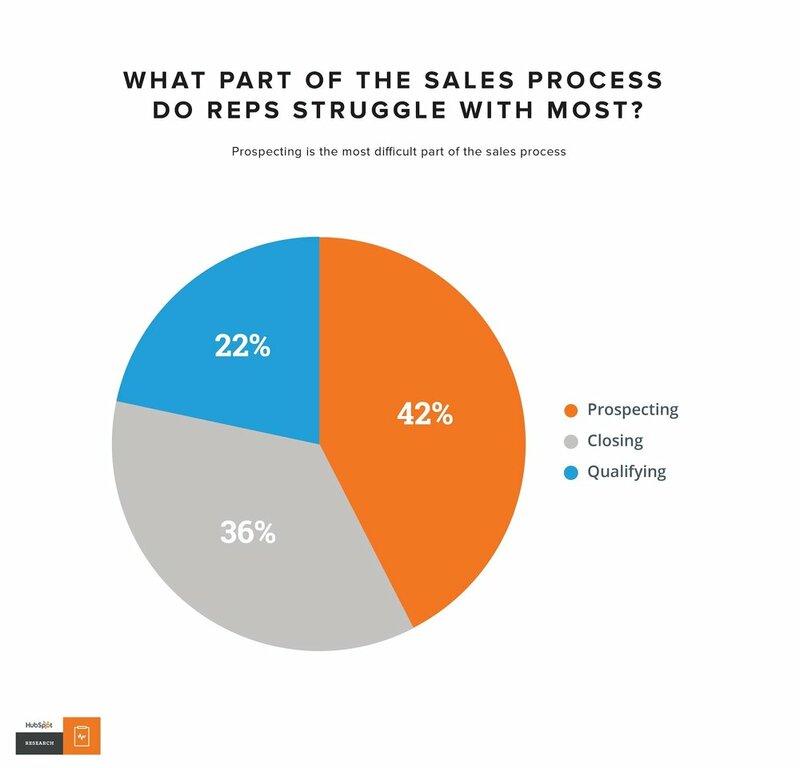 B2B sales processes are becoming increasingly sophisticated. To deal with the constantly evolving sales process, companies have innovated to ensure that they are addressing the needs of prospects at the right time. According to Brian Carrol from B2BLeadBlog, only 5-15% of leads are sales-ready from the moment the lead is generated. This means that leads sent quickly down the sales funnel are not only unlikely to become a customer, but the practice is actively detrimental in that it wastes time for your sales team. Sales reps already spend too little time actively selling, and filling their to-do list with unqualified prospects isn’t going to help them be effective. Lead scoring is critical for improving sales. But, many salespeople find that qualifying prospects can be difficult. According to a study from HubSpot, 22 percent of salespeople identified lead qualification as the most difficult part of their jobs. Solid prospects that are qualified to buy but still weighing their options might become annoyed when they feel forced to take a sales call before they are ready. Only 19 percent of buyers want to speak with a salesperson during the “awareness” stage of the customer journey. On the flip side, prospects that are ready to buy now can become upset when they remain stuck in the nurturing stage. Increasingly, companies are expected to recognize when their prospects are ready to move through the funnel. With that said, there is no magical formula for determining when a marketing qualified lead (MQL) has made the jump to a sales qualified lead (SQL). That will be different for every company and product. However, each company must develop their own formula and processes for analyzing leads based on their experiences with their customers. Over time, that formula may change to reflect new data. 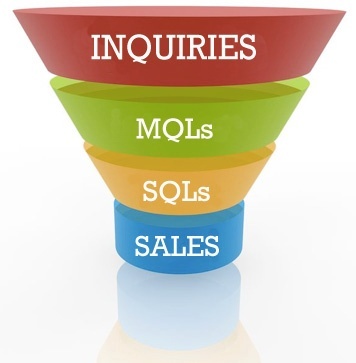 To understand your lead cycle and calculate your conversion rate from MQL to SQL, you have to first identify what attributes define each step in your sales funnel. A marketing qualified lead is a lead that is more likely to become a customer compared to other leads. They might be perusing your website right now and reading your content. You’ve helped them identify the problem that they are having and they are starting to understand that your product might be the solution, even if they aren’t ready for a sales call right now. Of course, nailing down what it means to be “more likely to become a customer” is actually a pretty difficult task. It can mean different things to different people. The signs can be different from one product to another. It’s definitely something that you become more familiar with over time. It requires experience in your specific business to tell the difference. Strong matches with buyer personas. Buyer personas are designed to give us a road map to our ideal customers. Sometimes a lead will come into the system that is such a good match for your product that they can make the jump to MQL very quickly. When a perfect fit falls into your lap you can begin building your relationship as soon as they hit your system. Demographic/firmographic qualifications. What demographic factors are already represented in your customer base? Of course, this information often overlaps with buyer personas in several ways. Characteristics commonly used in demographic qualification include industry, company size, location and the buyer’s role. Building firm personas can help you to identify excellent prospects as they entire the system. We recommend looking at your closed deals in your CRM. Who were the decisions makers? Who contacted you first? Who played a part in the deal? All of that information is incredibly helpful when building your personas. Engagement and behavior. Let the prospect’s actions inform your decision. 68 percent of marketers list engagement monitoring as a primary driver of new revenue. Is the prospect regularly interacting with your content? Are they answering surveys, opening emails, or reaching out with questions? Have they interacted with your brand via social media? Have they downloaded specific lead magnets like white papers that traditionally have led prospects to buying your product? Engagement is often the defining trait of a lead ready to make the jump to a MQL. The qualifications that define a MQL within your organization should be fluid. They should change with new data. Over time the content that you deliver for nurturing purposes will grow and change, and with it, the buyer’s journey will change as well. Once you identify that a prospect is marketing-qualified, then you can begin the nurturing process. If successful, the next step is to send them down the pipeline to the sales team once the prospect moves from marketing-qualified to sales qualified. Like a MQL, a sales qualified lead (SQL) can be different in every company. On average, only 25 percent of leads are legitimate and have any shot of becoming a SQL. 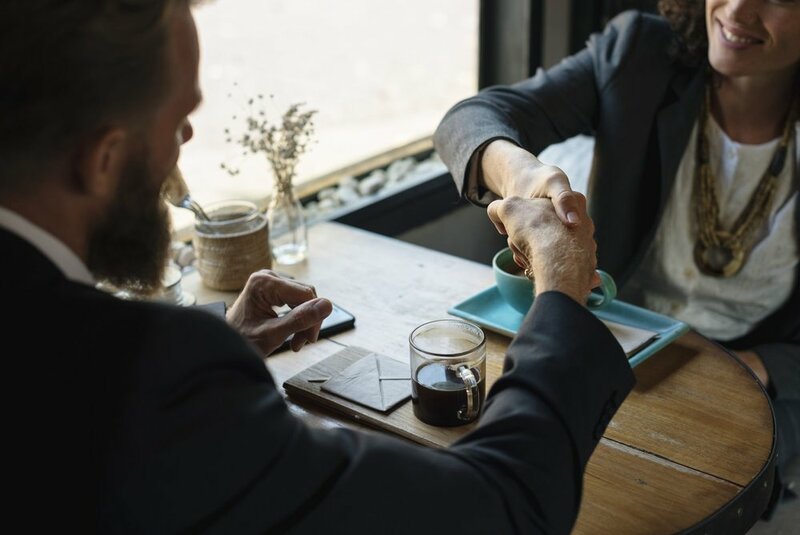 To put it simply, a sales qualified lead is a prospect that has been vetted and determined to be ready for the next stage in your sales process. Every organization is different and the marketing materials that you expose prospects to during the nurturing process play a key role in their development into a SQL. Is the prospect interacting with your content and marketing materials? Once a prospect is identified as a MQL, they should be placed on your nurturing list and routinely delivered valuable content. This content should be custom-tailored to their position in the funnel. A big question in regard to their sales-readiness is how they have been engaging with that content. Have they been reading your blog posts? Have they signed up to receive a white paper or other mid-funnel materials? Are they actually taking the time to read these materials? A highly engaged prospect is one that is often ready to be moved into the SQL category. Is a prospect asking questions? After receiving your content, is the prospect asking questions about your product or the materials that you have sent them? Have they filled out your contact form or requested more information? Even a simple response to an email can be a clear indication of their sales readiness, depending on what they ask. Has the prospect articulated a need? In order for your product to be the perfect solution to a prospect’s problems, you have to identify the problem first. With an issue identified, your sales reps can appropriately identify your product as a solution by highlighting specific uses and features that speak to the prospect’s situation. 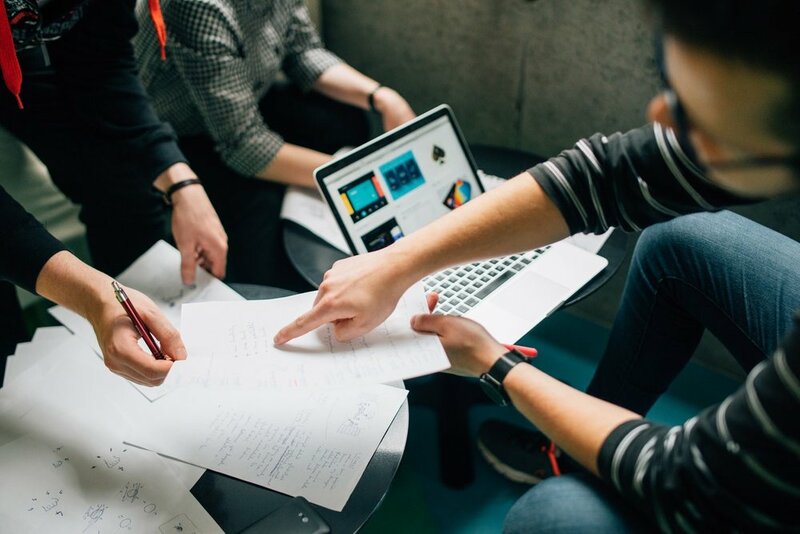 In identifying the problem, you give your sales team the tools that they need to connect with the prospect. Is the prospect authorized to make the decision? You can’t send a prospect to sales if they aren’t authorized to make the final call. In fact, once the prospect hands off the interaction to the decision-maker, you might be forced to enter a new nurturing phase with that person. If they don’t have the budget authority, your time isn’t being wholly wasted but the sales process will be longer as you attempt to transfer the process over to someone that is authorized to make the decision. Do you get the feeling that the lead is feeling satisfied with what they have seen and are ready to get the show on the road? If they have decided that your solution is the one they want, don’t hold them up as a MQL for too long. If they have expressed a readiness to buy, move them along to a SQL. All of these actions can be assigned scores and tallied in a process that is known as lead scoring. Lead scoring is critical for effectively prioritizing leads and increasing the efficiency of your sales and marketing teams. Additionally, each lead’s score can be used to provide a clear definition of when a lead moves from SQL to MQL, taking the guesswork out of the choice. The path from MQL to SQL is perhaps the most important in your funnel. Your conversion rate here speaks directly to the overall effectiveness of your marketing and lead generation strategies. It’s important to remember that as evaluate your MQL to SQL conversion rate, that it is highly dependent upon your own policies. If you are designating leads as sales-qualified too early, your conversion rate will be higher at this point in the funnel but ultimately your overall sales will suffer. For this reason, your MQL to SQL conversion rate should always be tied to and evaluated against your overall funnel conversion rate. You should strive to find a balance between the two. The MQL to SQL conversion rate is the percentage of marketing qualified leads that are being converted into sales qualified leads. This will provide you with your percentage conversion rates at this point in your sales funnel. Throughout this article, we have tried to drive home the point that every organization is different. Because every company has different sales cycles, it’s important that you account for the things that will have an effect on your MQL to SQL conversion rate. Even organizations that go to painstaking lengths to ensure scoring leads appropriately may still be practicing processes that push their MQL to SQL conversion rate up or down unintentionally. Sales cycle length. A longer sales cycle length is going to change the window that you need to look at when calculating your conversion rate. If your typical sales cycle lasts multiple months, then calculating MQL to SQL conversion rates within the last month isn’t going to give you much insight. Leads that go through an effective nurturing process tend to require shorter sales cycles. Making decisions based on an inaccurate conversion rate will further compound the problem. Keeping your sales cycle length in mind while analyzing your conversion rate is important. This may require a custom formula for evaluating your own leads. Lead sources drastically affect conversion rates. You’ll quickly find that leads from different sources convert at very different rates. For instance, the conversion rate for leads that fill out your contact form is usually quite high, while a lead that comes in through a mid-funnel content piece will be of lower quality or more difficult to score. Understanding where your best leads come from can help you to focus on the leads that are most likely to become buyers and improve your MQL to SQL conversion rates. High conversion rates won’t translate to sales if you are fudging the numbers. A high MQL to SQL rate is something to be celebrated, but only if you are being very selective with the leads that you move through your sales funnel. Pushing leads through the sales funnel to quickly will result in high-conversion rates through the funnel, but you will find that overall your sales conversion rate will suffer. Not only that, but your sales and marketing reps will get bogged down with leads that are destined to not pan out. It’s better to be more selective when choosing prospects to move to new stages in order to preserve accurate data. Organizations are often hungry for answers regarding conversion rates that are too low or high in various parts of the funnel. To understand your MQL to SQL conversion rate, you have to evaluate your lead scoring and funnel practices as a whole. Sometimes, a suspiciously high or low MQL to SQL conversion rate is telling of other problems within your sales processes. Non-suspicious metrics can also actually hide problems and make them more difficult to locate. Having a deep understanding of the processes within your sales funnel enables you to begin measuring and tweaking to improve conversion rates. Your conversion rate from marketing qualified leads to sales qualified leads is arguably the most important step in your sales funnel, other than actually closing the sale. Companies should always be testing and tweaking the sales processes within their funnel to improve the conversion rate at each step. 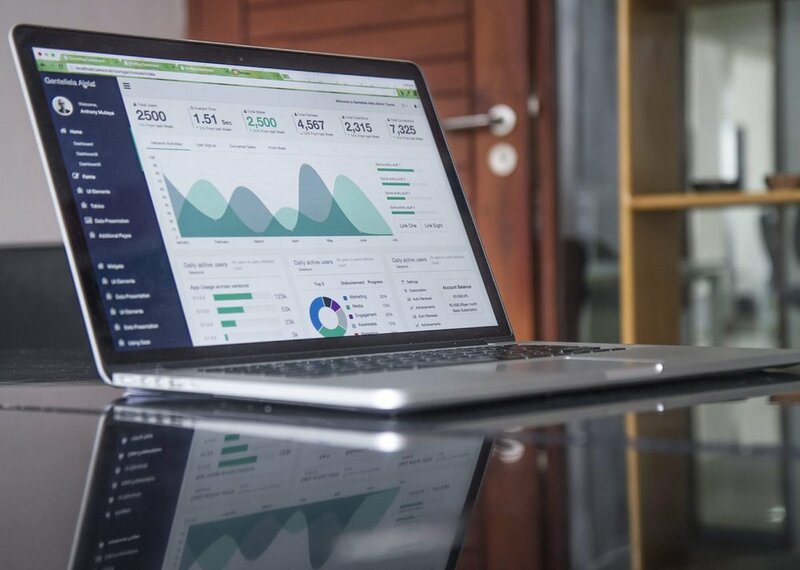 However, it is important to remember that aspects such as the price of your product, average sales cycle length, and the source of leads all drastically effect the conversion rates that you can expect. Your measurements and KPIs must be customized to your own internal processes to provide accurate and reliable data.